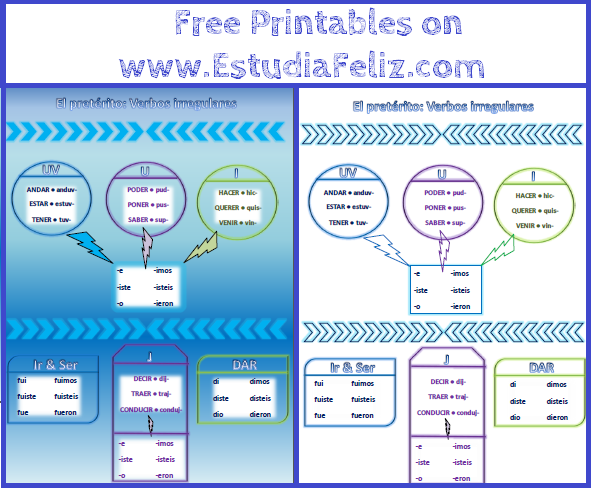 These free printouts offer an organized go-to visual for to have on hand while learning the irregular preterite verbs. You may prefer the colorful version for a poster or the less colorful for a handout for students. Click the links for the free PDFs!